With Geary Floors Inc.’s variety of hardwood flooring options, you can enjoy peace of mind as your home is transformed into a timeless beauty, crafted to be naturally durable, versatile, and easily maintained. Whether you are refinishing your existing floors or desire an entirely new installation, we can add both exceptional beauty and value to your home. Call today for a free estimate, and let us show you how the Geary Floors family can assist you with your upcoming project. Engineered hardwood is comprised of 3 to 9 layers of heat-pressed plywood, and a premium hardwood top layer. The underlayment is constructed in a cross-grained configuration and then heat-bonded to provide superior strength. As a result, engineered hardwood is less susceptible to changes in humidity. True to old tradition, solid hardwood flooring is milled from a single slab of wood into a tongue-and-groove design for interlocking structure and composition. Flooring thicknesses can range from 3/8”to 33/32” and is typically nailed to a plywood subfloor or raised foundation. Necessary acclimation time is required before installation. Pre-finished engineered and pre-finished solid hardwood boards are factory milled and finished with an aluminum oxide coating. Typically, with a beveled or micro-beveled edge. 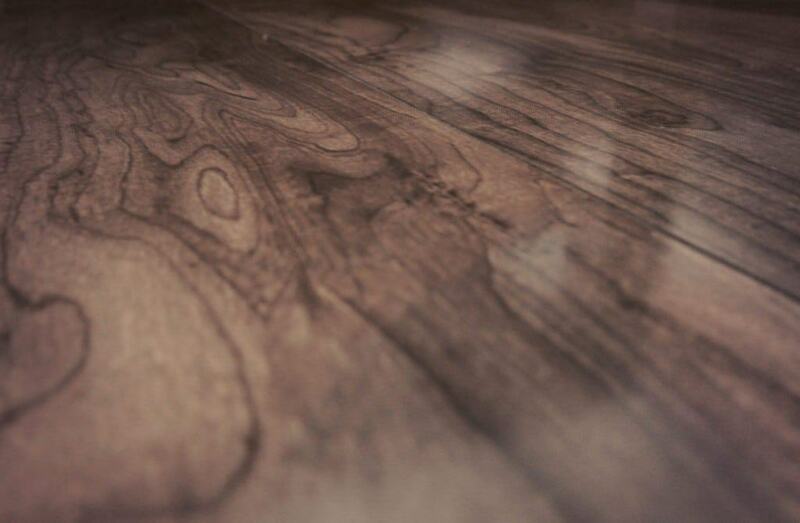 Prefinished floors offer a strong durable finish without the downtime and dust needed to finish on site. Flooring is sanded/ finished in the field. 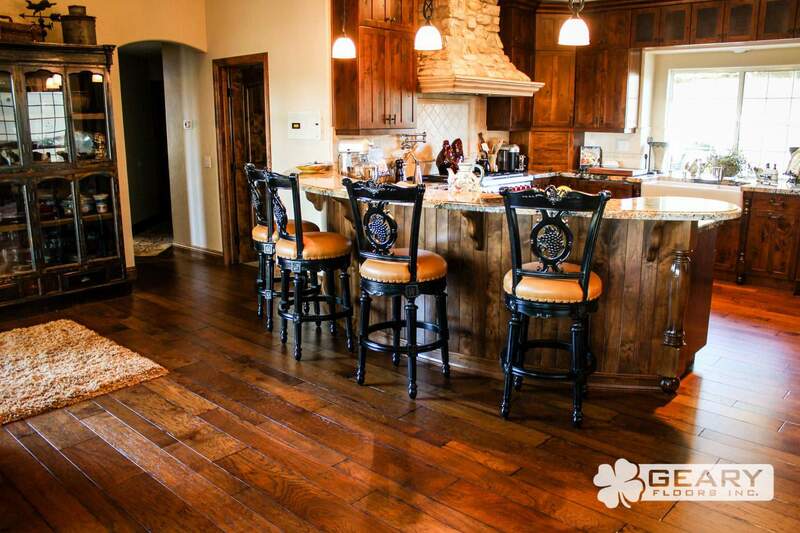 By purchasing unfinished flooring, you have the ability to fully customize your floor. Many options are available including stain color, sealer type, and finish application. *Ask our experts for more information on pricing and availability. Nailed floor installation is usually required for solid hardwood flooring construction. Professional installers use either a high-velocity compressed-air gun or manual pressure gun to fasten cleats into the hardwood. To compensate for expansion, installers will leave expansion gaps around the edge of the wall and hide these areas with base or quarter round molding. This technique is also used for engineered hardwood installation. Unlike solid hardwood, engineered flooring is less susceptible to relative humidity due to the products plywood foundation. In this instance, only small expansion gaps are required around the perimeter of the installed room. 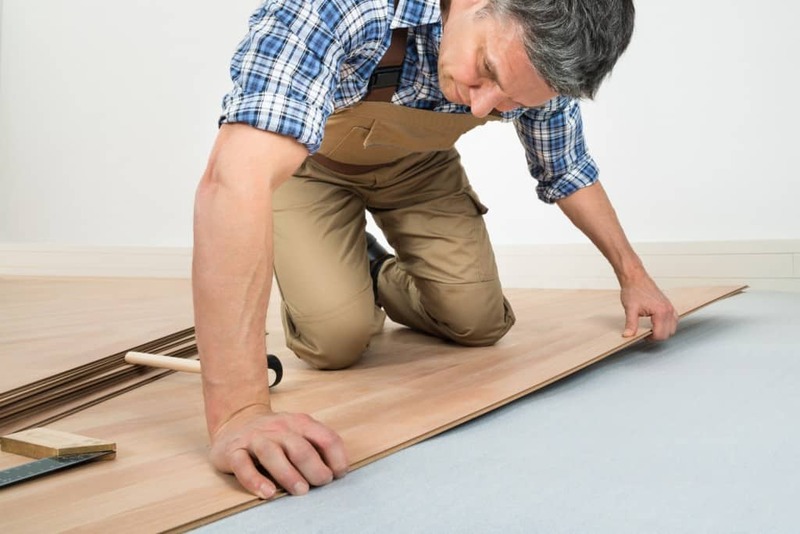 Glued installation is an optional technique used when installing engineered hardwood flooring. A urethane adhesive with vapor retarder technology is applied by trowel directly to a suitable subfloor (typically a concrete slab or plywood foundation). The urethane adhesive provides optimal moisture protection, maximum bond adhesion, and sound control depending on the product. Once the floor is installed, long strips of painter’s tape are applied to the floor to control board movement as the glue sets up. A floating installation method may be used when installing an engineered hardwood over a flat foundation. 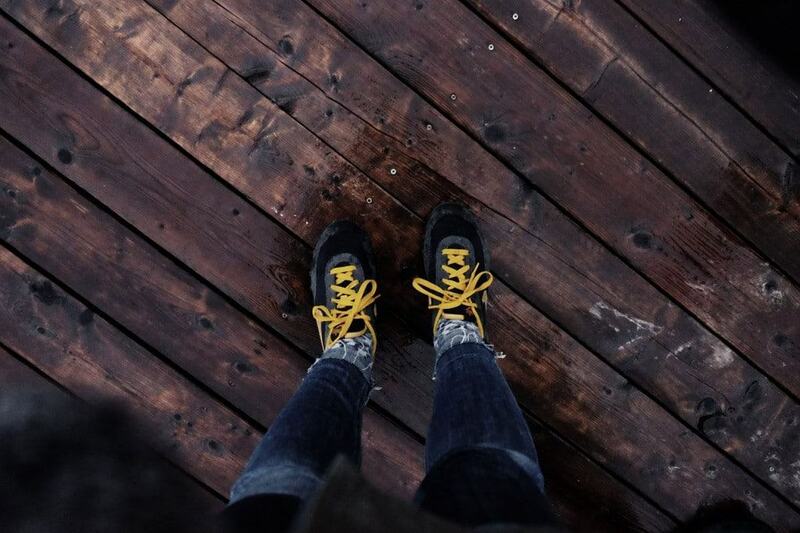 When floating a floor, floorboards have no direct attachment to the subfloor or concrete slab. Boards are instead glued together at the joints to allow for floor expansion and contraction. The technique and execution of a stapled hardwood installation, is similar to that of a nailed floor. Professional installers use pneumatic staple guns to fasten either engineered or solid hardwood to a wooden subfloor. A matte finish is the lowest luster available for finishes. Floors with a matte finish reflect the least amount of light when viewed from a standing position. Satin finish provides a mid-level sheen that holds true to its original luster overtime. Semi-gloss is the preferred choice of homeowners and interior designers. It provides a bright and reflective sheen that adds just enough luster without overpowering a room’s aesthetic. Gloss finishes are the highest level of sheen available. The higher the gloss-level the more noticeable dust, dirt, footprints and pet hair become. Typical applications include exotic hardwoods, bowling alleys, and athletic gymnasiums.